Just put him among the nominations, he will surely grab it, after beating Africa’s Top Artists like Tanzania’s Diamond Platinums to win the Best Male East African singer in AFRIMMA awards recently, he is again another award winner. 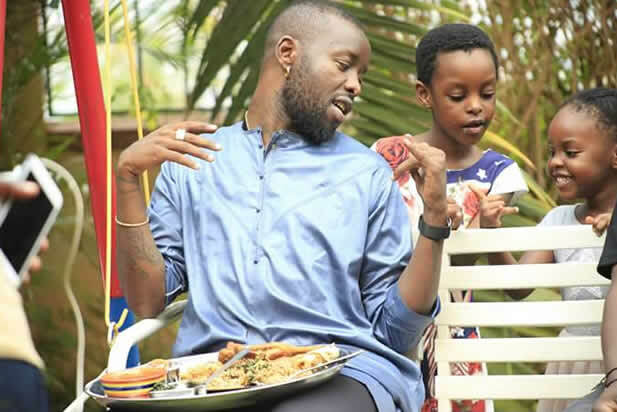 This is other than the only East African BET Award winner, Ugandan musician Edrisa Musuuza popularly known by stage names Eddy Kenzo. He has made collecting internatonal accolades. He was the recipient of the 2018 Award of Prestige at the recently concluded African Entertainment Awards (AEA) in USA. 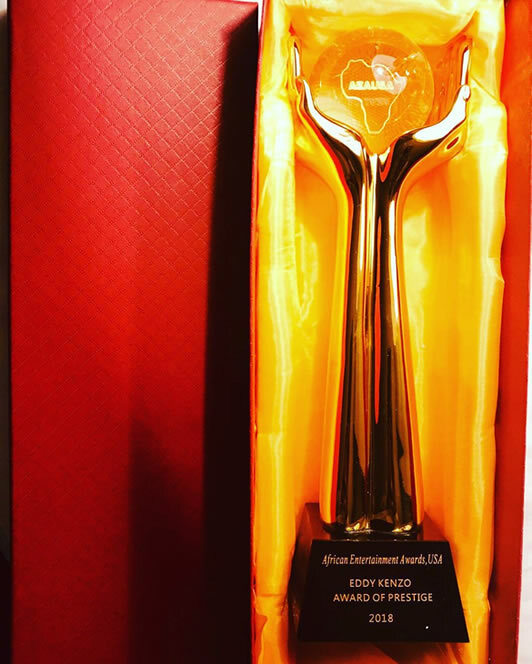 This accolade came as a reward towards his restlessness in promoting Africa in a positive way though music and philanthropic works. He however did not attend the awards show in person but manage to take to social media to celebrate the achievement. “Breaking news, Another one from America. Oh God!! I wish I was there to receive this award in person this means a lot to me. Being honored by award of prestige at my age wawoww this is Legendary my dear God you’re so good to me. It’s very hard to be appreciated when your still alive. Naye nze nkirabyeko at least. Thank you @aeausa2018.” He captioned the photo of the award. The Award Of Prestige celebrates and recognizes an artist’s excellence in both entertainment and charitable donations. This comes in the same time as the singer advertises dates for his 10 Year Musical Experience Concert. He is set to to perform on the 4th of January 2019 alongside his Big Talent crew and several other artistes at Serena Hotel. He also revealed that his earlier show and concert that was slated for 26th December in Mbale was changed with dates shifted to next year as well as the venue from Thatch Gardens Mbale to Kampala Serena Hotel.